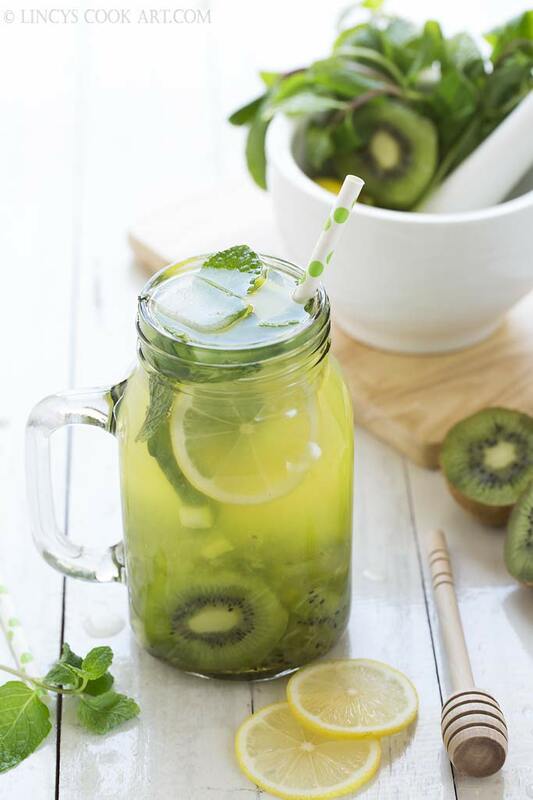 Kiwi Mojito or Kiwi Mocktail is a tasty cool beverage prepared without the addition of alcohol. Quick to prepare beverage without much pain. An excellent tasty thirst quencher during summer season. 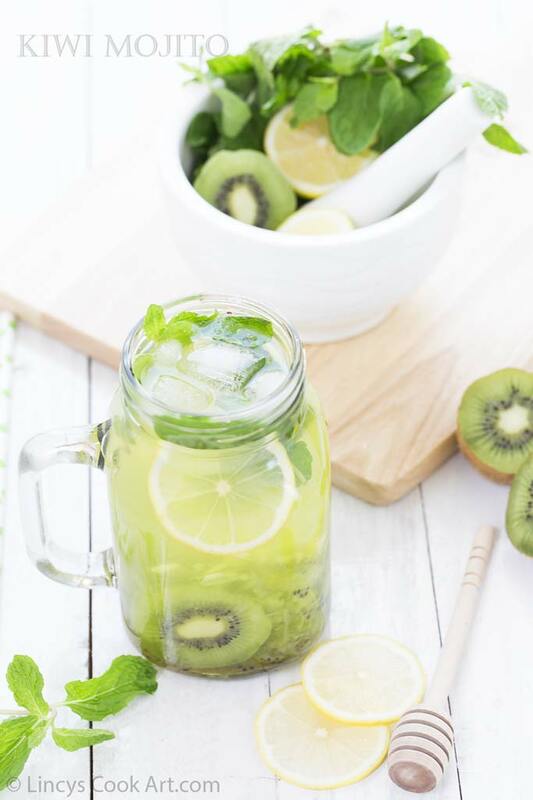 I have shared Kiwi lemonade recipe yesterday. Do refer the link for the recipe. I have shared many beverages in my blog. Soon i will compile and make it as a single post for easy reference. Prepare this easy tasty cool drinks and stay hydrated! Halve the lemon and thinly slice them. In a mortar and pestle or in a cocktail tumbler add one chopped kiwi, half the lemon slices, few mint spring or leaves and crush or muddle the ingredients all together to release the flavours. In a jug or glass transfer the crushed ingredients with honey, soda water and with some ice cubes. 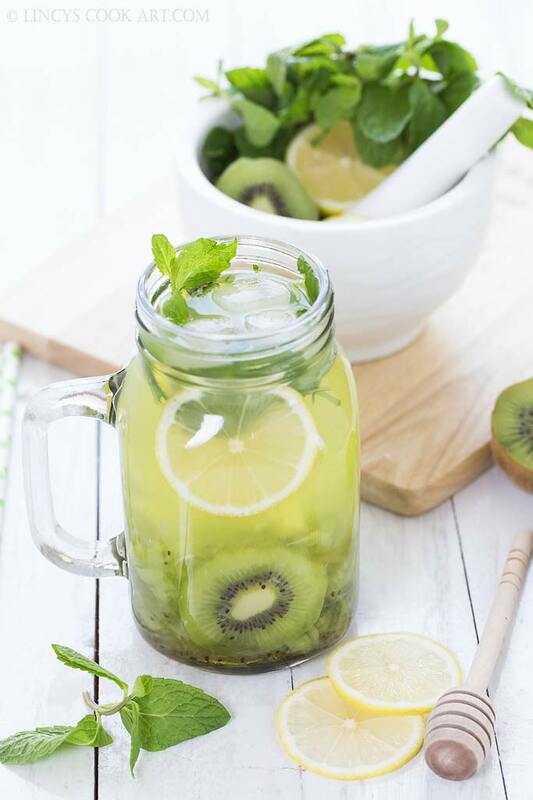 Mix well and serve with some more kiwi pieces, lemon slices and mint sprigs. Note: Add a touch of pepper powder for taste variation. You could a piece of ginger while crushing or use gingerale instead of soda water. perfect hydrated drink to have in this season..